David Koch, otherwise affectionately known by the public as Kochie, is one of Australia’s most recognised and respected faces. Australians have been waking up with Kochie for over 15 consecutive years, as the co-host of Australia’s number one breakfast television program, Seven Network’s Sunrise. His position in the breakfast chair started as a temporary one, however his unique, opinionated style of presenting resonated with viewers and he has continued to hold the position for over 15 years now. 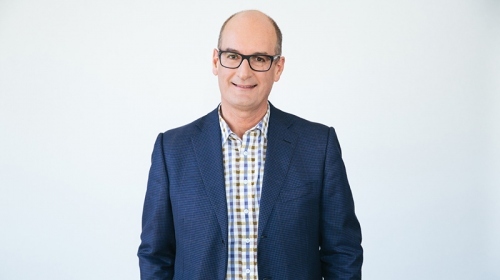 Within 18 months of Kochie commencing as co-host, the show saw viewer ratings grow to Sunrise becoming the leading breakfast show in Australia. Before Sunrise, Kochie was a (self-proclaimed) finance nerd who studied to be an accountant, and started as a cadet on the business pages of The Australian newspaper before joining BRW magazine soon after its launch in the early 1980s. He was one of the founders of consumer finance journalism in Australia and created Personal Investment magazine, which made him the youngest editor in the Fairfax Media group. He then launched Personal Investment magazines in New Zealand and the UK. He produced Britain’s first Rich List which started in Money Magazine which he had bought for Fairfax. Kochie has a strong interest in small business issues and was a director of the NSW Small Business Development Corporation for over six years being appointed to the board at its inception in 1996. As a former business owner and operator and now director of Pinstripe Media, he speaks regularly at corporate events about small business, finance and investment issues as well as providing practical tips. Kochie is in demand as a host and MC, and regularly addresses a wide range of corporate events and groups. He speaks informatively from a base of personal experience and knowledge of business and financial issues. 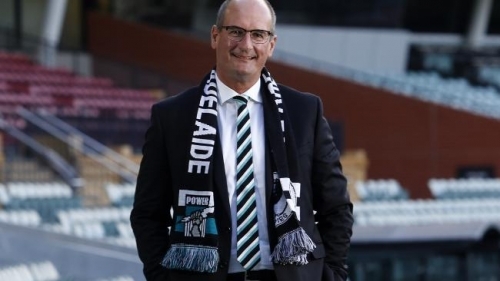 A huge supporter of the Port Adelaide AFL Club, Kochie was appointed Chairman at the end of 2012, with the goal to steer the organization out of crisis and back on the road to sustained success both on and off the field. Since his appointment, Port has transformed the AFL landscape with their exceptional game day experience, fitness levels and supporter interaction – a benchmark for the league! Kochie is a supporter of Father Chris Riley’s Youth Off The Streets with his wife Libby acting as a YOTS ambassador and director of YOTS Overseas Relief Funds, while also being the patron of the YOTS managed Koch Centre For Youth at Macquarie Fields. In addition, Kochie was also Advisory Council Chairman of the Organ and Tissue Authority which is the government body charged with reforming Australia’s organ transplant system to bring it up to world’s best practise. Nominated for a silver Logie in 2004 and 2005 for Best TV Presenter. Banking and Finance Magazine voted Koch Australia’s Best Finance Journalist. The Council of Small Business Organisations of Australia presented him with the “Small Business Champion award” in recognition of his support of Australian small business. A survey conducted by Money Management newspaper recognised David as one of the 10 most influential people in establishing the retail financial services industry. A Reader’s Digest survey found he is also one of the top 25 most trusted people in Australia. Finance and football aside, Kochie is an all-round good bloke and family man – proudly being named Australian Father of the Year in 2007. Just please don’t ask Kochie about the Wallabies, Sydney Kings or Port Power. He takes being a passionate support to a whole new level!